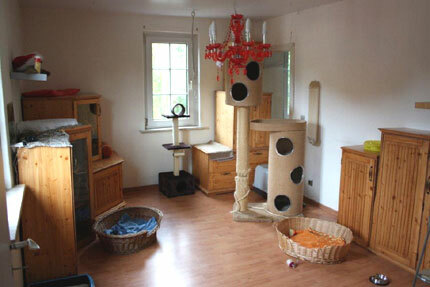 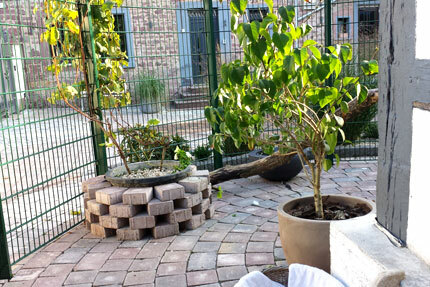 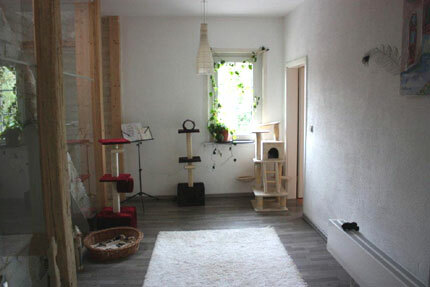 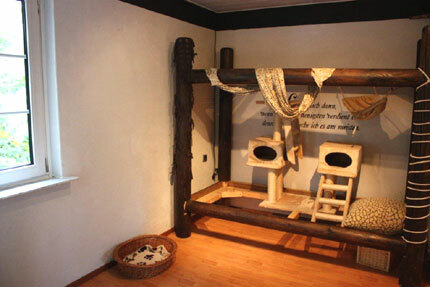 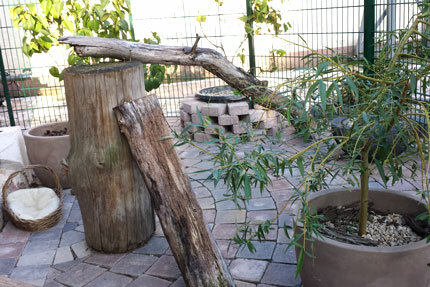 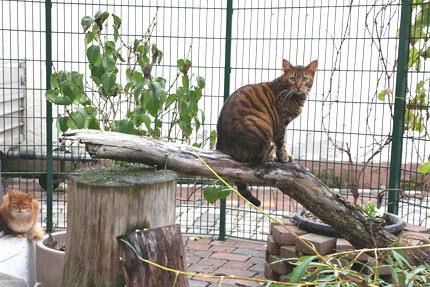 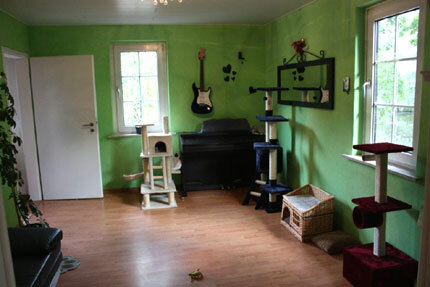 In our »Tierhotel Rhein-Main« in Langen (Hessen), situated between Frankfurt am Main and Darmstadt, cats are accomodated in affectionately rebuilt and arranged living spaces with many options to hide and to climb. 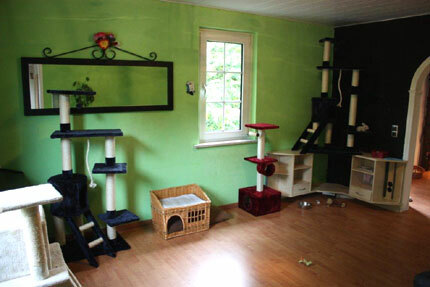 Furthermore we provide a cat home heated partialy only that also has direct access to the outdoor seats so even cats that are used to spend time outside will feel comfortable and can enjoy fresh air. 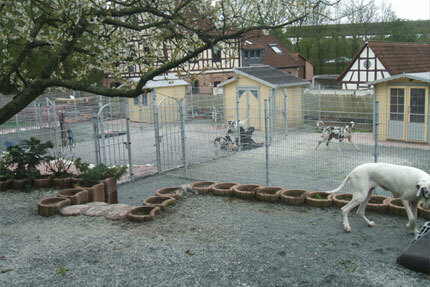 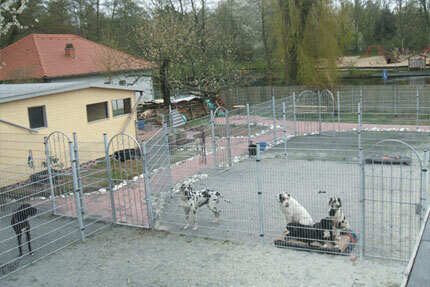 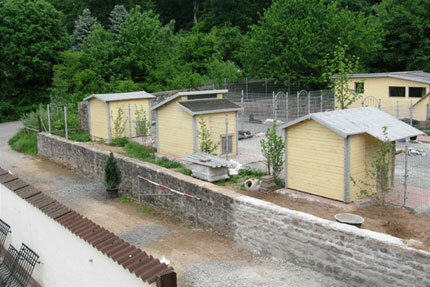 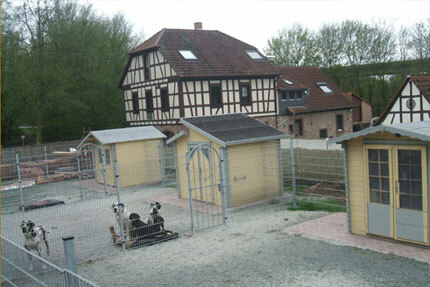 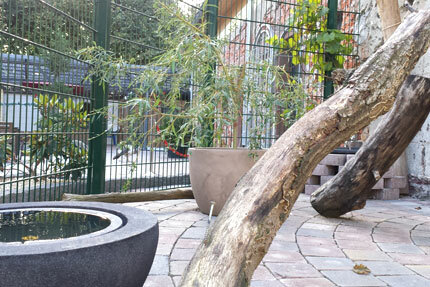 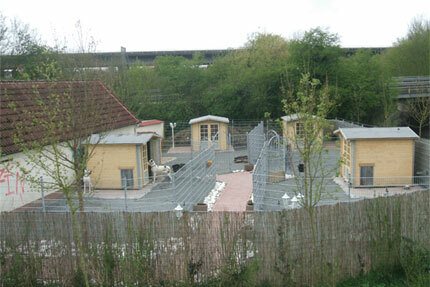 In our »Tierhotel Rhein-Main« in Langen (Hessen), situated between Frankfurt am Main and Darmstadt, dogs are accomodated in heated rooms that have an additional outdoor area of about 100 sqm each. 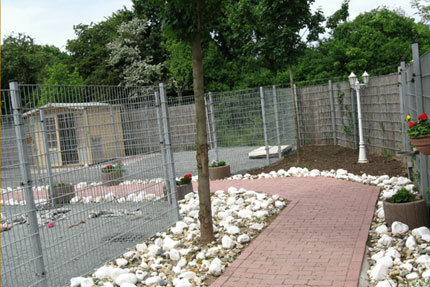 If you wish your dog will be lead on a walk by experienced and qualified staff regularly. 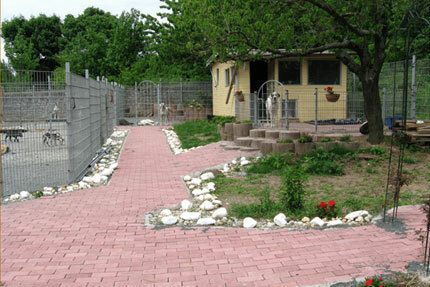 The at least one hour long dogwalks will be done in small groups or individually depending on how the dogs get along with each other.